1 GRAM SILICA GEL STRIP PACKETS - Interteck Packaging, Inc.
Interteck offers universally accepted silica gel and Tyvek® and combines them with the speed and precision of automated dispensing. 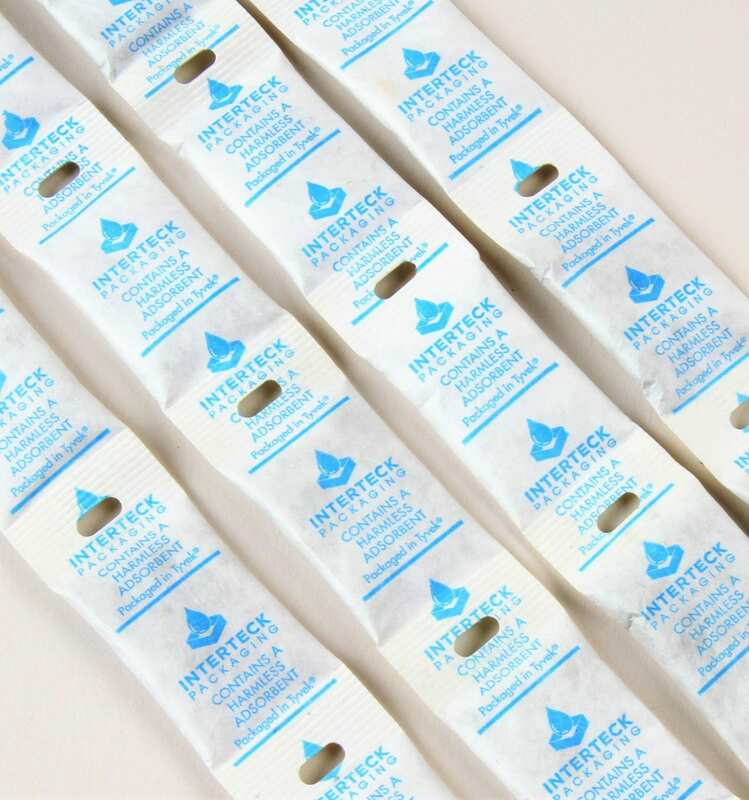 Our 1 gram Silica Gel Strip Packets feature a sensor friendly hole between each packet which is easily read by automated dispensing systems. The Tyvek® styles, as manufactured by DuPont, meet the requirements of Title 21 of the United States Code of Federal Regulations for olefin polymers (21 CFR 177.1520) and additives (21 CFR 178.2010). Tyvek® is a chemically inert material. High Strength and Tear Resistant. High permeability for fast adsorption of moisture vapor and/or odors and gases.